Alternate Title: How to do Fall in the City When You’re Pregnant AF. AF being absolutely no exaggeration at all. I will follow this up with a separate post on maintaining body positivity during pregnancy, because OMG for some of us it’s rough out here. 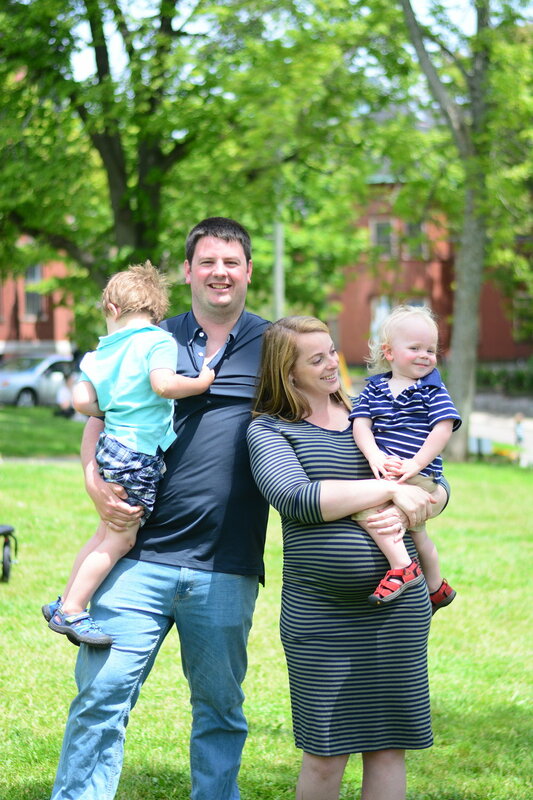 …like all women, I have found the tail end of pregnancy to be the hardest. I am just so uncomfortable and my mobility is SO limited that it is really difficult (and often painful) to do even normal things like walk or get in and out of the car. Add to this the fact that I live with two very active toddlers and the days can seem oh so long. In order to cope I’ve been very strategic about where we go, realizing that I can only handle so much physical activity myself. Plus, while my kids are generally good listeners, never will I ever completely trust a 2 and a 4 year old to make responsible and safe decisions all the time regarding things like road safety, so I play it safe and pick areas I know where I can manage if they decide to run away from me. We are so lucky to live in a city that offers so much access to so much wilderness without having to travel hardly any distance at all. Check out our fall activity list and let me know if you have other things you would add to it. Keep in mind these are EASY places to take kids where they have freedom to run around, and there is usually some place for me to sit down. Both crucial at this point in the game. I should also mention that this list is heavy on the Uptown and West Side areas of town because that’s just where I hang out - there are lots of other amazing places on the East Side and in neighboring towns, but this is where we like to go. 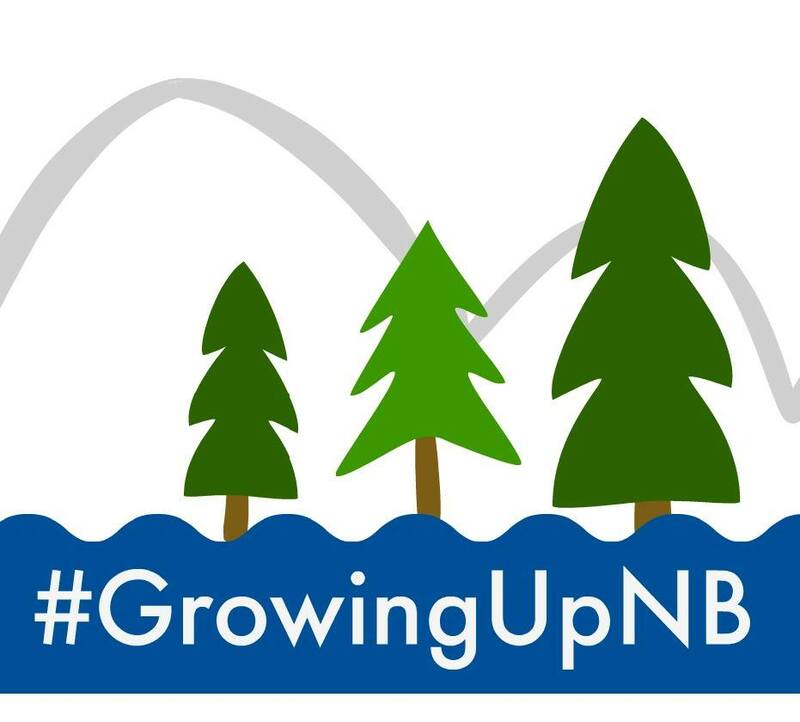 At the end of this post there are links to 4 other New Brunswick Mamas who have fall adventures, craft masterpieces and all kinds of great fall ideas waiting for you – read to the end, follow the links to see all the posts and don’t forget to share and pin all of this New Brunswick FALLspiration! Bay Shore Beach. This has been a staple for us all summer long and in the fall not much has changed. We head down here when I know the tide is out and the kids have an actual blast playing in the mudflats. If the weather is warm enough they’ll even still go in the water even though we’ve traded in our bathing suits for track suits. As long as you don’t mind the mess, the beach is actually a great place to visit year round. They run around, dig in the sand and throw rocks and they honestly could do it for hours and they think it’s the best thing ever. Plus at the beach, I can park it on a blanket and keep an eye on things from where I’m sitting (unless they’re going in the water). Runner up beaches include Duck Cove, Saints Rest & Mispec. Rockwood Park. I take the kids to the playground here often, especially since school has started back up again and we no longer can go to the elementary school playgrounds we loved all summer long. I love that it is suitable for kids of varying ages, but I do tend to follow the kids from structure to structure because I just don’t find that you can see them well enough from either end if they decide to run down to the other. I also love to walk the loop around Fisher Lakes, but I prefer to do this with another adult, and only if my kids are in a stroller mood or they’re listening especially well. Cars are able to drive around some parts of the loop and some of them go by very quickly, le sigh. Children’s Forest. We have been here over a dozen of times in the last few weeks. It is a great playground for kids under 5, it is self-contained, and I can sit down on a picnic bench with a coffee and still see the kids no matter where they are. What else would you want? Harbour Passage. I love Harbour Passage. I like to park under the bridge and walk uptown. The kids love the green space, there is plenty of room to run around and if we are lucky we might even get to see a train! If we’re really REALLY lucky, we can even walk far enough uptown to get a coffee before heading back. Cherry Brook Zoo. I’m actually personally conflicted on zoos in general given that life in a cage is, well, life in a cage. I especially worry about animals who are brought here whose natural habitats don’t even remotely resemble our own, living in solitary conditions only to be paraded around. That aside, we did visit this year and the kids did enjoy themselves. Especially the reptile habitat. What else can I say other than it is easy to get around, and even a heavily pregnant woman can manage to walk the loop with short breaks to look at animals and contemplate the morality of such a place. Next to the zoo is possibly my favorite hiking route in Rockwood Park, and while I’m not up for that right now, you should definitely check it out! Don’t go alone though (or on any secluded and wooded hike for that matter). In writing this, I can’t help but realize how much I talk about safety. I truly don’t take chances with the kids. I don’t personally trust them to make wise decisions for themselves, because come on, they’re 4 and 2, but I also don’t trust the general public either. 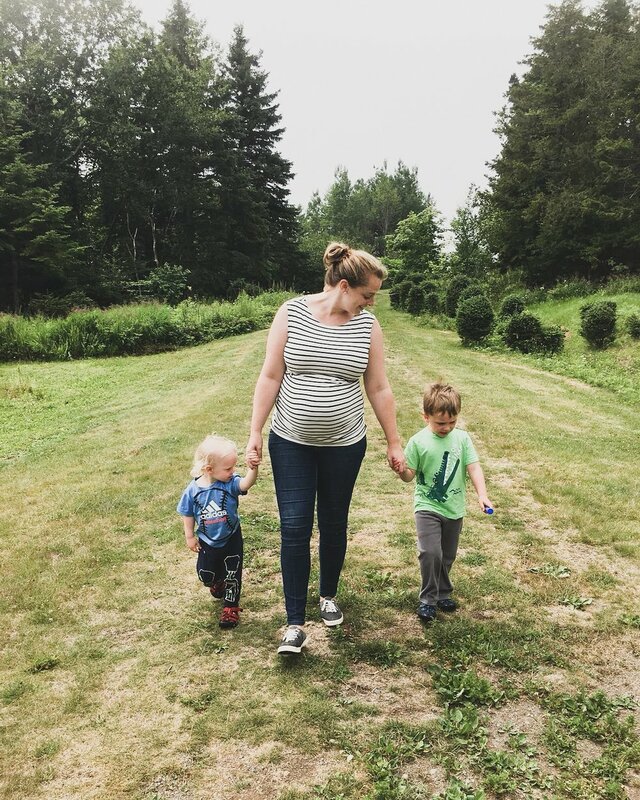 I don’t take the kids to places where I can’t easily keep track of them (especially when I am big and slow), and I also don’t take them to places that make me feel vulnerable. So obviously, no wooded areas alone, no places where I don’t get cell coverage, and nowhere I feel that I could find myself in a situation that made me or the kids unsafe. I always tell someone where I am going or where I am, and honestly, I don’t think I am being overly cautious for no reason. The truth is that being out alone as a woman is risk enough, and having two small kids makes me (and you) more vulnerable. Be smart. Be safe.